While I do not typically focus on thyroid health when discussing weight loss, we don't want to leave this out of the equation because it does play a significant role in regard to dropping pounds. Today I will share my opinions on thyroid health and I would be willing to bet that most of this information will be completely new to you in this regard. First of all, let's separate hyper from hypothyroid. Hyperthyroidism is a whole other can of worms compared to hypothyroidism. First of all, most with hyperthyroidism will typically lose weight as the natural imbalance due to this health challenge. Secondly, I want to be very clear that hyperthyroidism can be a very serious and potentially deadly challenge. If you are diagnosed with hyperthyroidism be sure to work with an Endocrinologist as well as your Natural Health Practitioner. So what we are really looking at here in regard to weight loss is actually addressing hypothyroidism. What we are talking about here is simply the thyroid simply not producing enough thyroid hormone. When this is the case most individuals will be challenged with weight gain. Now you have all heard many times that this would call for a need of thyroid hormone prescriptions or on the natural front, possibly iodine. 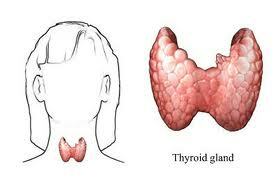 Today though, you are going to understand some other challenges as tied into hypothyroidism. I first want to share some thoughts based on one of my colleagues, Dr Robert Janda. Dr Janda is a master at A/K which is a form of muscle testing to understand the underlying core issues as tied into your health challenges. Dr Janda has shared with me more than once that so often the thyroid is hypo due to challenges with pathogenic infections and specifically worms. Once the pathogens are addressed the thyroid finds balance on its own. I know that Dr Janda will often suggest worm oil to address this issue, so I would recommend you seek the advice of a quality A/K practitioner and ask for you thyroid to be checked for pathogens and specifically worms. The other significant issue is tied into the metabolic activity of the thyroid. Simply put, your thyroid uses quite a bit of energy on a regular basis, so if the metabolic activity is low, your thyroid will mirror this. To improve your metabolic activity it is important to stimulate your mitochondria function. Your mitochondria is the little engine that drives every cell in your body and especially important for areas of the body that require loads of energy. One being your thyroid glands. While these are excellent supplements to improve this metabolic activity and thyroid improvement, they will not provide much of an effect if the underlying challenge is tied into a pathogenic infection as mentioned above. Please use this information to address your thyroid function and eventually weight loss. If you are trying to lose weight with an under active thyroid, you are swimming upstream. If you have any comments or questions in regard to this article, please leave this below and I will respond to this personally. Glen, this is WONDERFUL ! It explains alot to me personally. And I think I had a sixth sense about this all along. Nothing natural was working. But I *knew* that I should have preceded it with a good cleanse. I believe that women particularly will be onto this like glue! The next part, what do you think about a genetic tie-in? I recently attended a class reunion and there was my first cousin, whom I grew up with, suffering the same thing as myself. Tho we grew up together, we have not lived near each other for over 35 years. THANK YOU THANK YOU for your work along this line. Please continue your good work. I feel that while we may have physical genetic predispositions, the most significant factors are learned behaviors and lifestyle. In my opinion based on my years of practice, I find that only about 4% of health challenges are based truly on genetics.